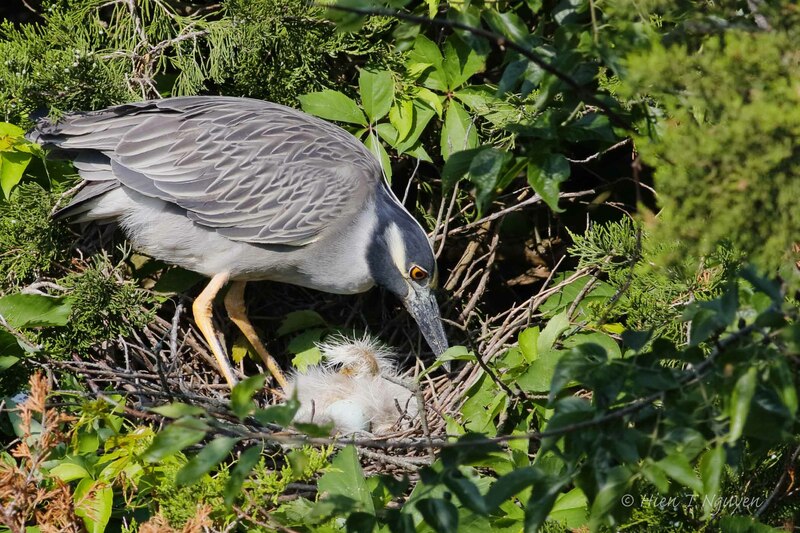 As predicted, the eggs in the Night Heron nests have begun to hatch. I went to the Ocean City Welcome Center today to look at them, and saw little balls of fur moving while the parents were busy preening or redecorating their nests. 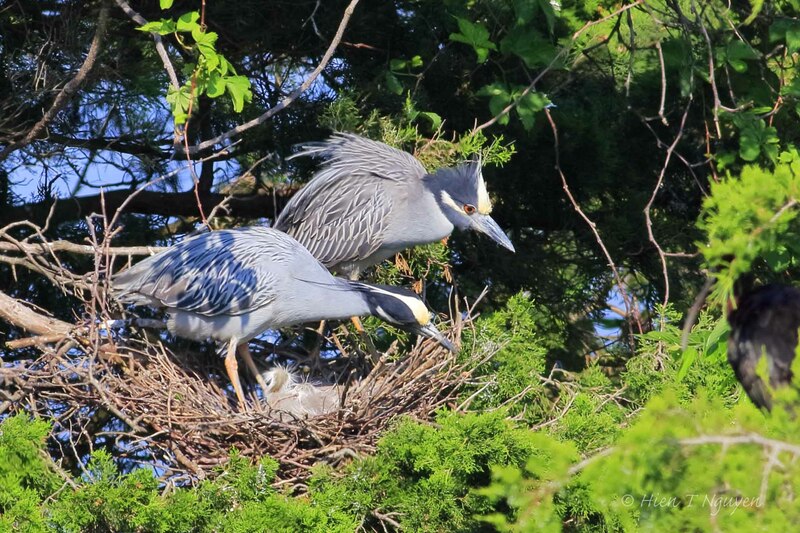 Yellow-crowned Night Herons with new hatchlings in nest. 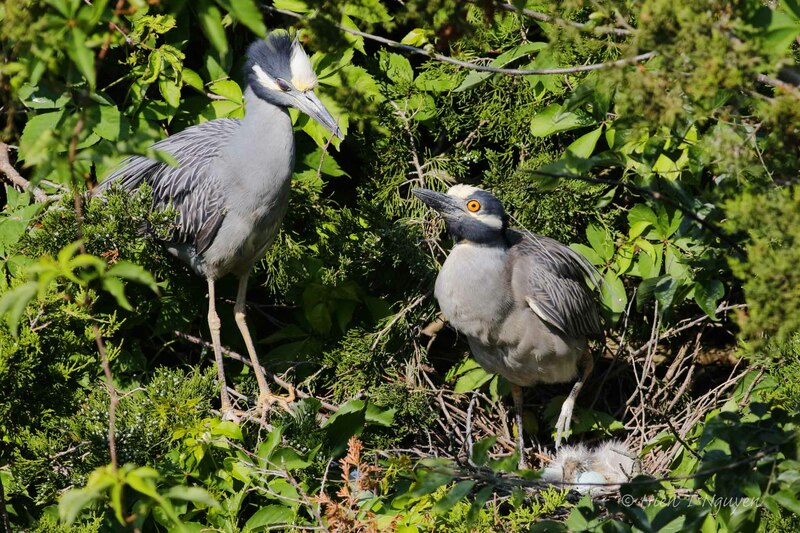 Yellow-crowned Night Herons planning redecoration. 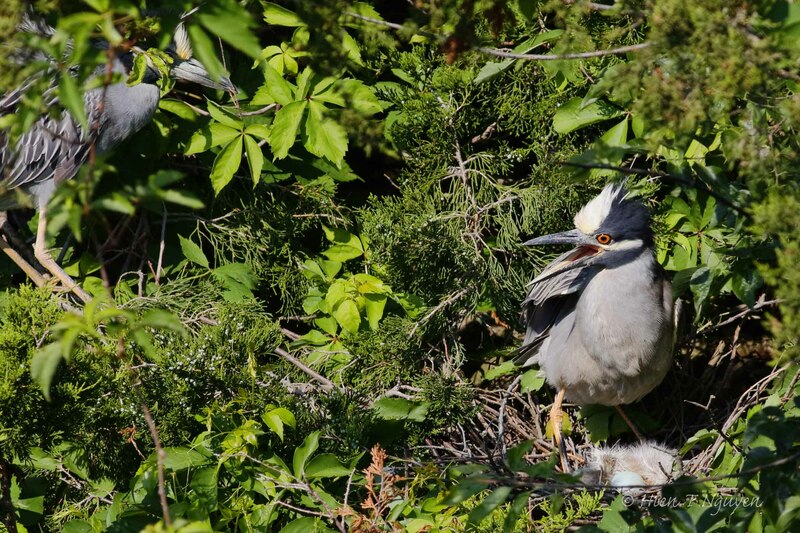 At another nest, the male heron brought a twig back. 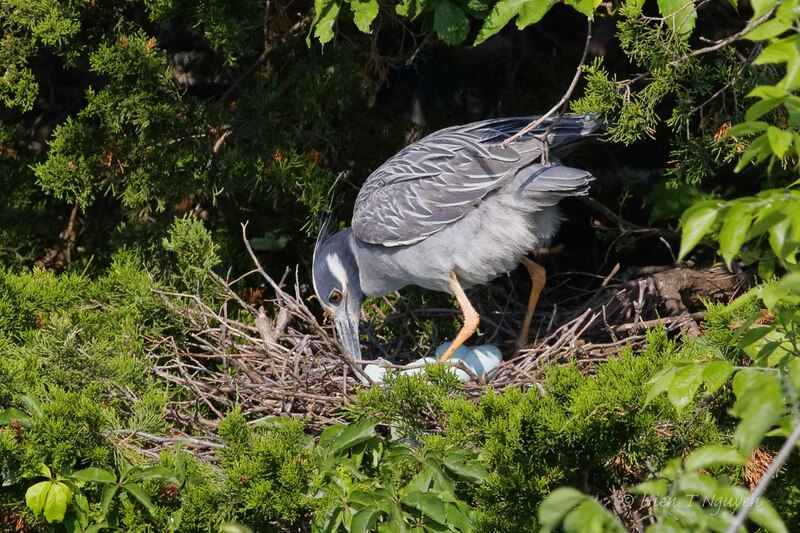 Female heron: “What took you so long?” Note that one egg still had not hatched. Male heron passing twig to female. While he flew away to look for other twigs, she tidied up their nest. At yet another nest, no eggs had hatched. All the eggs were still whole. There were many other birds around the herons. I only managed to get shots of Ibises and Great Egret. 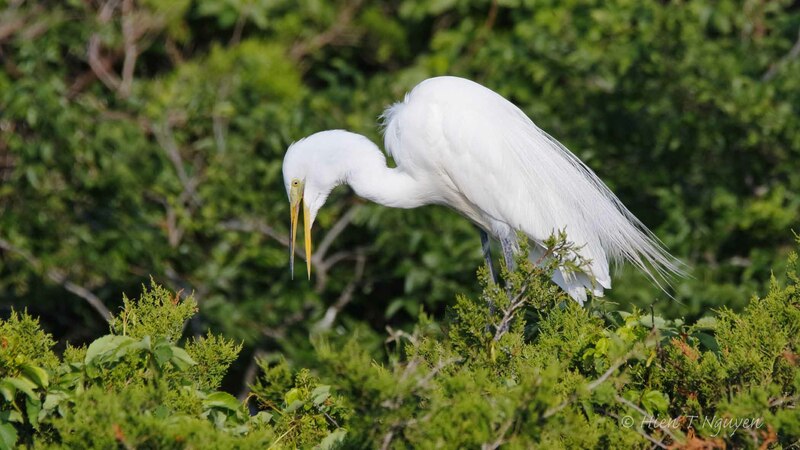 Great Egret throwing up food. 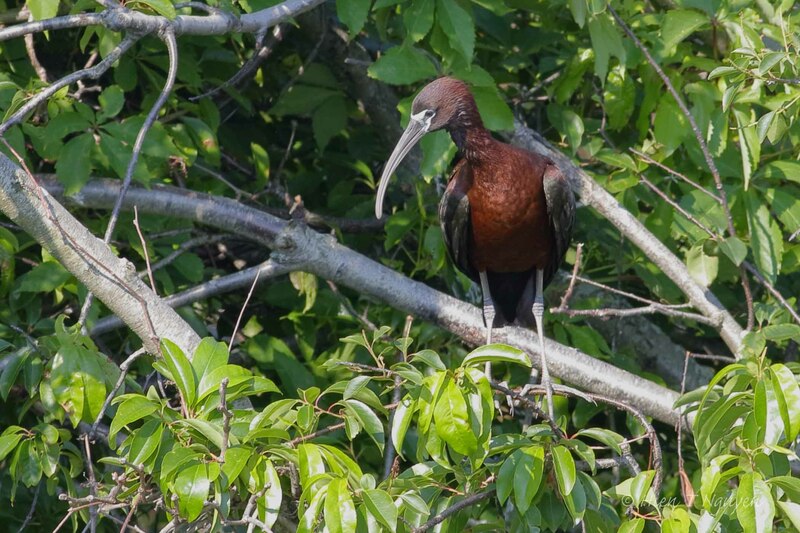 Several Glossy Ibises were flying around. 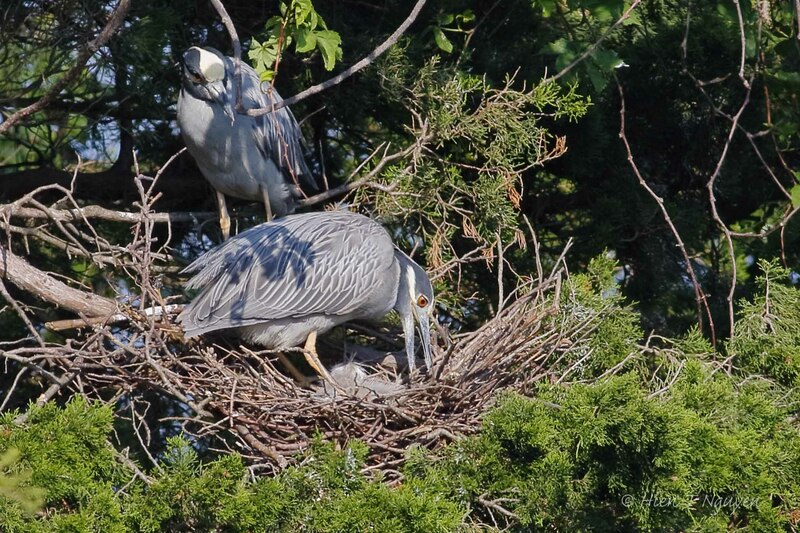 Maybe they also had nests in the rookery. 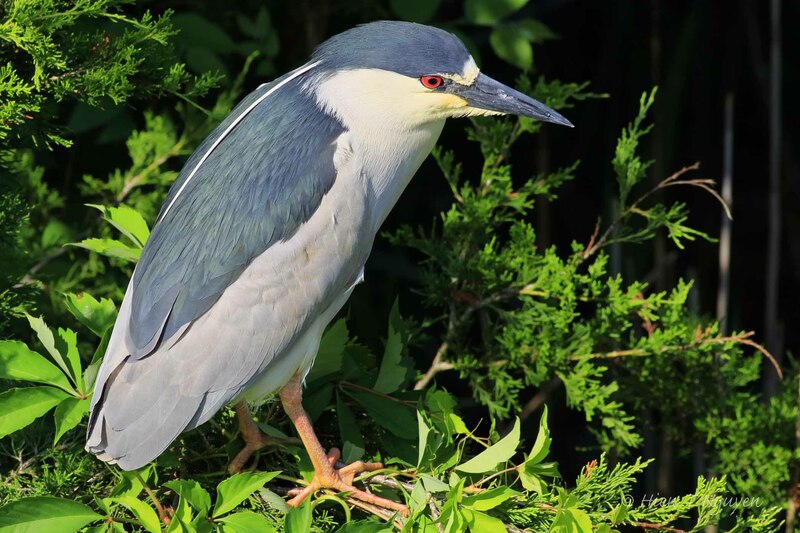 Black-crowned Night Heron. They also had nests but those were well hidden in the rookery trees. 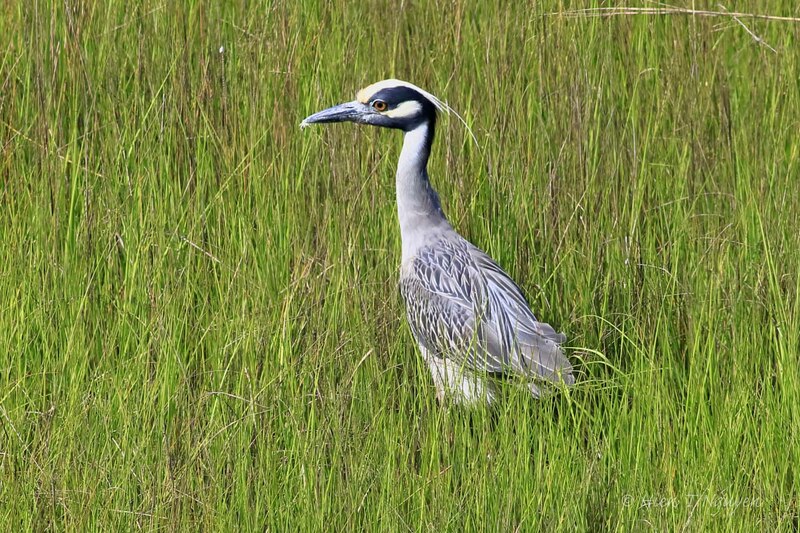 Yellow-crowned Night Heron on the hunt.